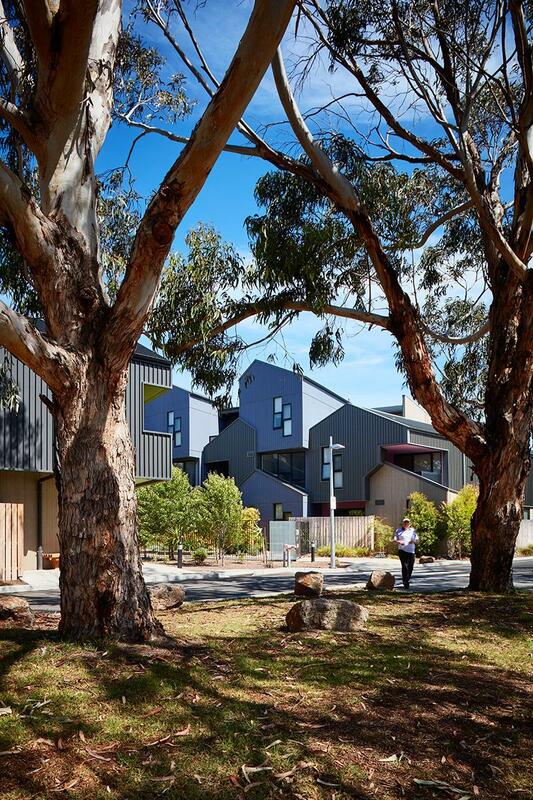 McIntyre Drive Social Housing is a large building that sits comfortably within its residential context. Despite its size, it is cleverly broken down to a domestic scale, providing each of the sixty-nine apartments with a sense of identity and a communal sense of place. The building is expressed as an abstraction of the surrounding vernacular using a repeated gable motif to identify individual dwellings. 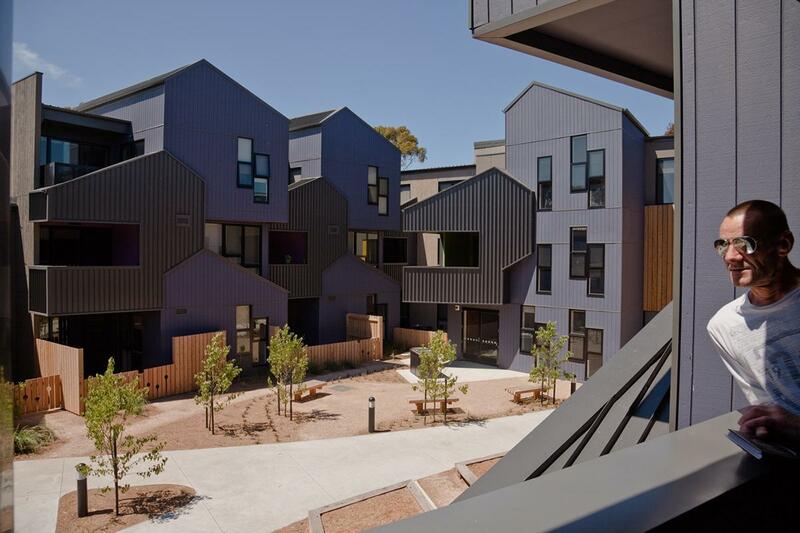 This mediation of the building mass, the expressive use of inexpensive materials, and the incorporation of landscaping have successfully created a building that belies its size to provide its residents with delightful dwellings and a strong sense of community. 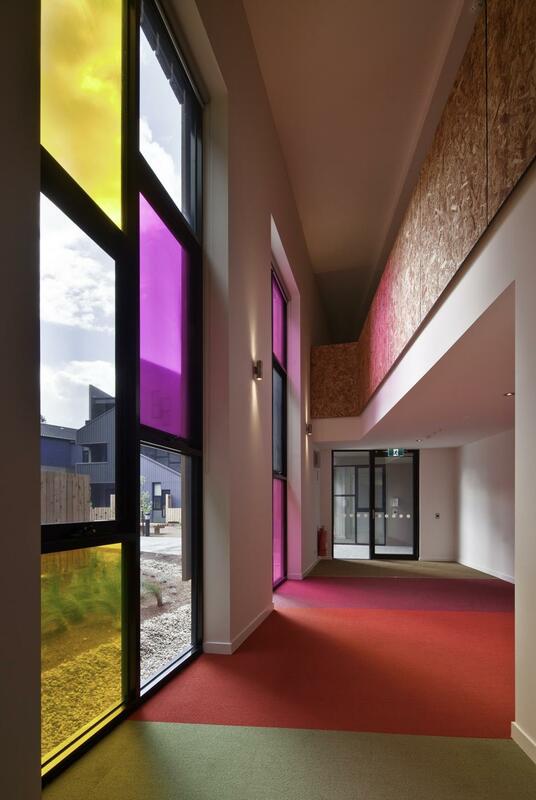 The building provides independent living accommodation for residents with disabilities and includes communal spaces, community gardens and private open space. Thoughtful site planning has provided a generous sense of open space around the building, including a shared common garden area at the entry. Apartments and passage ways are well-lit, comfortable and easily able to be furnished. 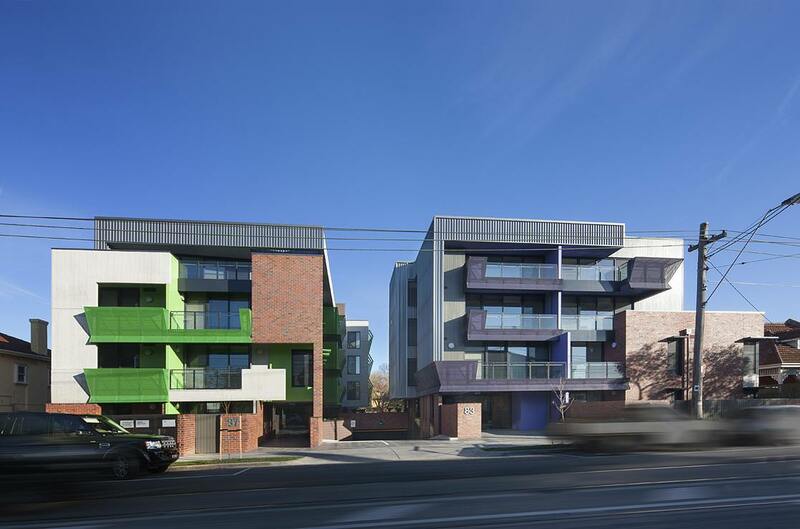 The planning facilitates chance interactions between residents, particularly in the generously landscaped forecourt. 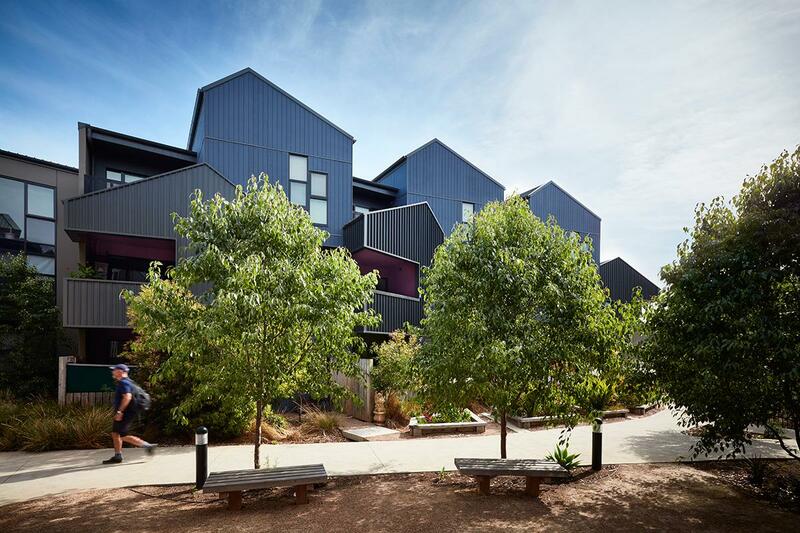 Substantial environmental sustainability initiatives have been incorporated into the design while social sustainability has been deeply considered by the architects, with the result being a non-institutional response that provides an exemplar for social housing and homes for many clearly happy residents. 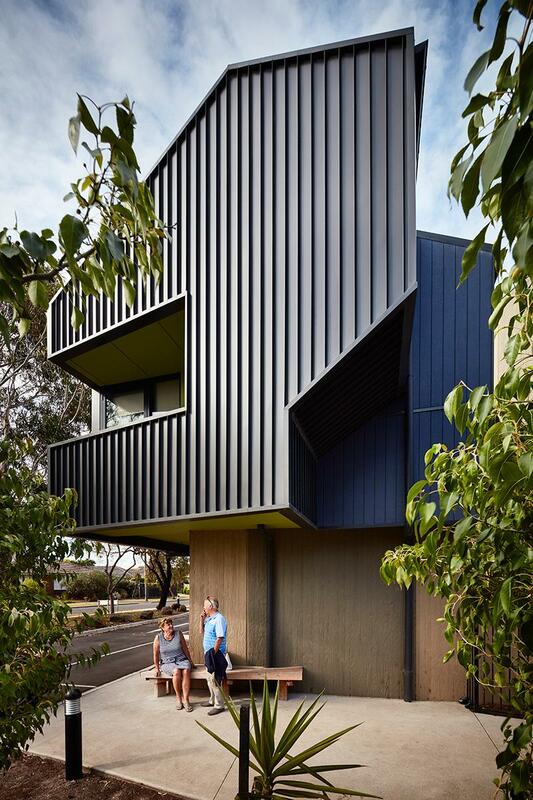 "The jury had no hesitation in recommending McIntyre Drive Social Housing by MGS Architects for the Best Overend Award. 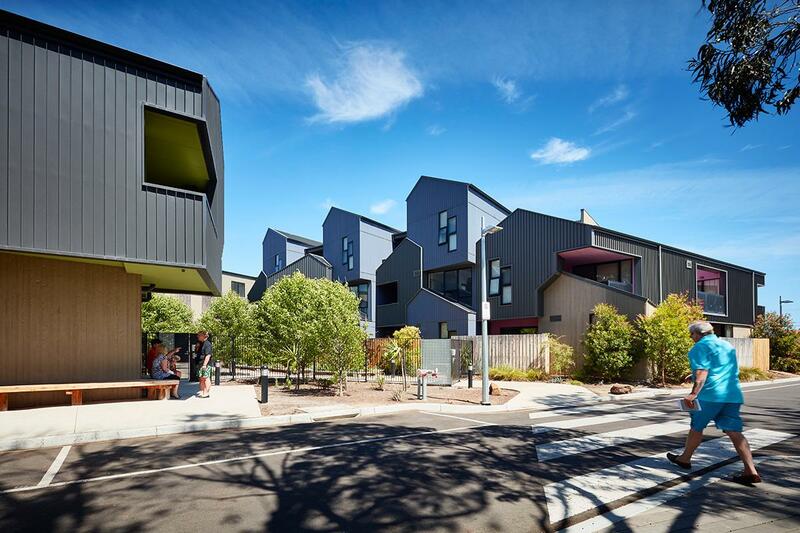 This project provides 69 social housing apartments to a suburban street in Altona. The apartments are playful, generous and light filled. Communal open space and garden, along with front yards to the ground floor apartments facilitate the development of a community. 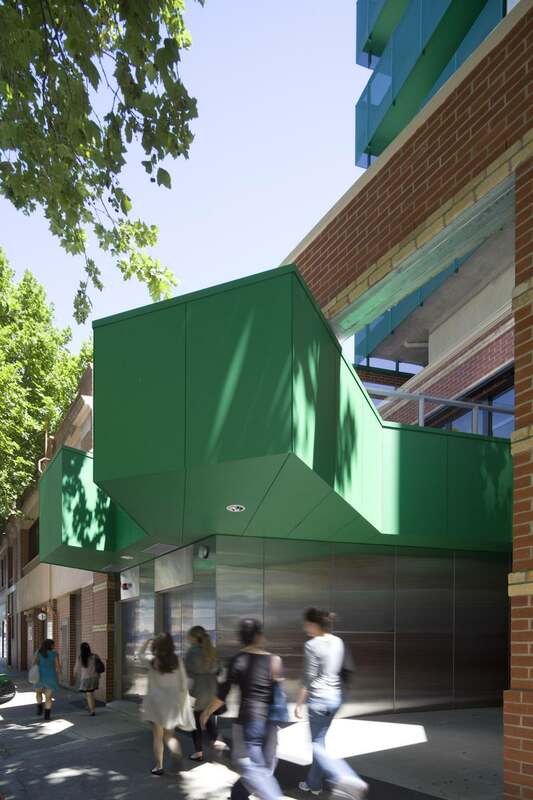 This project clearly indicates how architecture can be a catalyst for communal placemaking."